The 2008 Eclipse NANO builds on the original NANO concept as a kite designed exclusively for the needs of wave riders, snow kiters, and word travelers. However for 2008 we have refined the NANO so that every rider in every condition will absolutely love this kite, for 2008 the NANO is now our free ride kite. 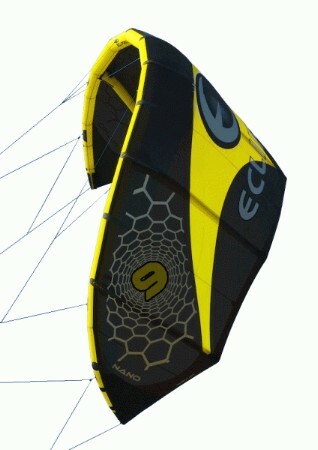 The Eclipse NANO is designed to feel like and extension of the riders body. 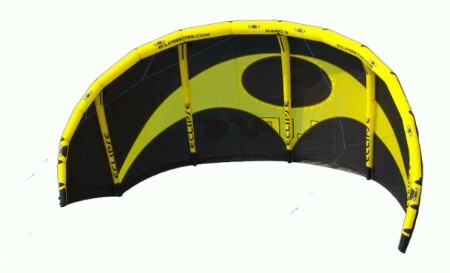 With the NANO the kite always responds to the riders input immediately. The dedicated wave rider will love the speed, stability and re-launch. Still, the NANO offers the free riders enough boost and hangtime to work on the latest moves. The NANO is designed for riders to maximize its small size, fast movement, and light weight to their advantage. The NANO's increased foil area helps to create a low range never before imagined. The 6m NANO will have you riding with a surfboard in 15 knots! - Hurricane proof construction: And we mean it!!! Every kite made by eclipse has successfully passed our hurricane proof testing. 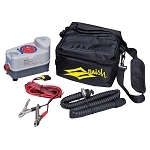 - Quick Pump: Two systems, one kite. 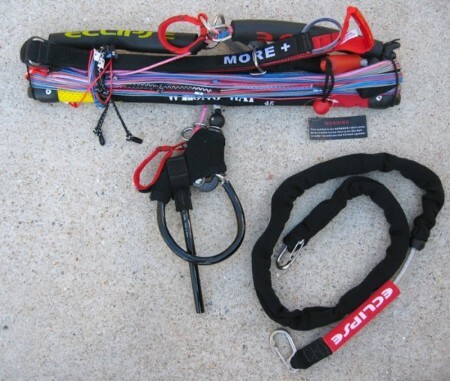 Every eclipse kite comes stock with our simple one step quick pump system, however if your you prefer the long way you do have the option of creating a multi pump system just by removing the one pump tubes. 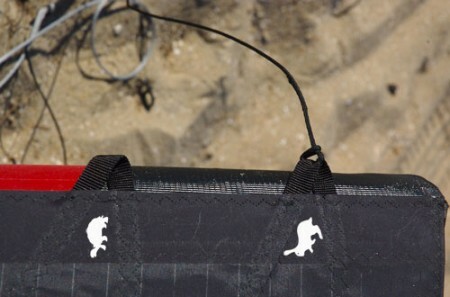 - Turbo deflate: Deflates your kite 2x as fast. - Fool proof bridal: Even a 5 year old can set an eclipse kite up with ease with our color coded bridal system. - Speed control: With the thruster you will always have a fast kite but now with our speed control system you can choice just how fast your thruster will fly. - Ultra simple bridal: Had enough of the tangles, well they are a thing of the past with our effective yet small bridal. - Serviceable Ronstan pulleys: At eclipse we only use the highest quality ronstan pulleys. Oh and there is only TWO on the kite and ZERO on the bar. - Bridal defectors: Prevent your bridal from getting caught on the wingtips. - Shark Skin reinforcements: New and improved for 2008 these synthetic guards will keep your kite looking like new by protecting the high wear areas. - Molded Scuff guards: Our unique molded guards will take the beating off your LE. - Double Dacron wingtips: Distribute the load forces throughout the kite and make your kite strong and more durable when self launching. Small size- Entire Quiver will fit in a standard backpack. NANO 09: (13 to 28 mph). Has to use a bigger size board for light wind. NANO 09: (10 to 20 mph). NANO 12: (08 to 18 mph).